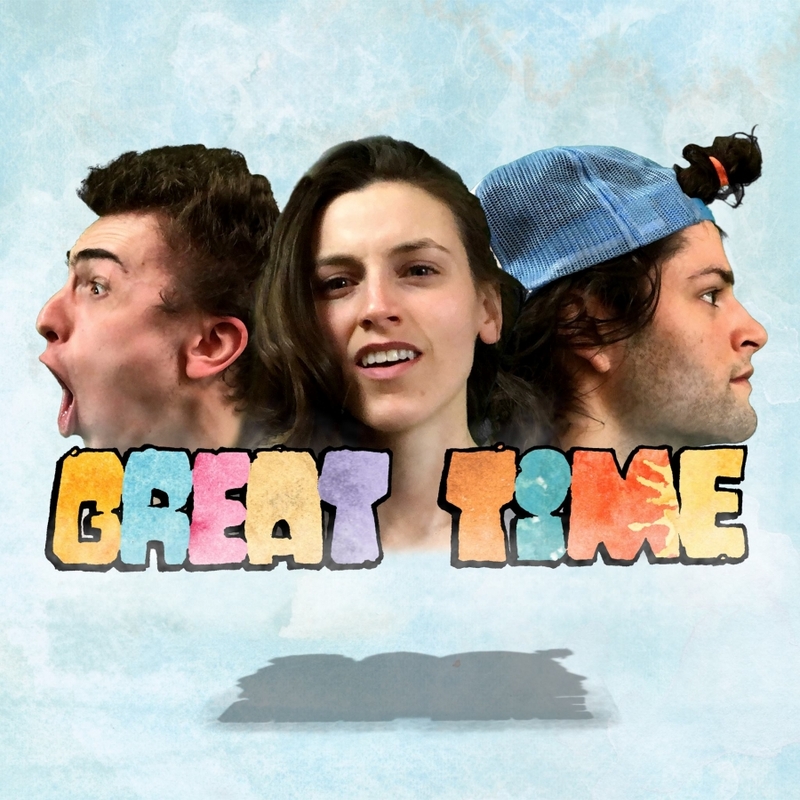 With a band name like Great Time, the trio of Jill Ryan, Donnie Spackman, and Zack Hartman have a lot to live up to, which they doubled down on with the naming of their debut LP Great Album – an eclectic mix of danceable grooves, soulful slow jams, and intimate bedroom pop, enhanced by hints of psychedelia, momentary rock freak-outs, and guest bars and vocals. The band is continuing to go all in with the construction of their very own recording studio on a farm outside of Philly, which was also supported by a successful Kickstarter campaign. Below is their latest video for the track “Lazy Lilly,” and you can catch them this upcoming Tuesday, November 20 at Johnny Brenda’s. But first, check out our recent Featured Artist(s) interview with the Great Time gang HERE! With a band name like Great Time, the trio of Jill Ryan, Donnie Spackman, and Zack Hartman have a lot to live up to, which they doubled down on with the naming of their debut LP Great Album – an eclectic mix of danceable grooves, soulful slow jams, and intimate bedroom pop, enhanced by hints of psychedelia, momentary rock freak-outs, and guest bars and vocals. The band is continuing to go all in with the construction of their very own recording studio on a farm outside of Philly, which was also supported by a successful Kickstarter campaign. Below is their latest video for the track “Lazy Lilly,” and you can catch them this upcoming Tuesday, November 20 at Johnny Brenda’s. But first, check out our recent Featured Artist(s) interview with the Great Time gang below! Great Time: We all met in New York City while at The New School studying jazz. We started as more of a jazz band with different members, but after tiring of the usual types of songs we were playing, we started branching out more and trying new things musically. We spent a lot of time jamming in basements and practice rooms, finding ideas we liked and trying to develop them real time into something cohesive. We eventually took this process into our studio, which we just completed construction on in late 2017. We ended up recording and producing our album here, which we just released in April. We collaborated with several rappers, singers, and instrumentalists as features. We also worked with visual artists to create a piece of art for each track on Great Album. TD: Where did the name Great Time come from? GT: We get this one a lot. In college, we had a show coming up so we made a poster for it. It was a crappy Microsoft Word Art-style poster filled with buzz words like "Courage," "Respect," "Tolerance," for no apparent reason. At the top, it said "Great Time," and I overheard someone in the hallway say, "Who's Great Time?". That pretty much sealed it. GT: We all have different influences, but have some common ground such as Michael Jackson, Stevie Wonder, Incubus, Nirvana, D'Angelo, Aphex Twin, Flying Lotus, J Dilla, a bunch of jazz (Bill Evans, Miles, Coltrane, Cannonball, Oscar Peterson), Little Dragon, early Coldplay, classical music, Feist, Joni Mitchell, and so much more. GT: Currently? Altopalo, Ariana Grande, John Mayer, The Bul Bey, Kingsley Ibeneche, Space Captain, and Talking Heads are some of the artists on our playlists right now. Jill Ryan: Modest Mouse//Arcade Fire//The Killers at the Shoreline Amphitheater in Mountain View, CA. First album: I don't remember the first full-length album I bought, but I remember buying a Dido single at Warehouse Records when I was little. Donnie Spackman: I think it's probably Raffi. First album: Blink 182 - Enema of the State. Zack Hartmann: Primus at the Paramount in Seattle, WA. First album: Eminem - The Eminem Show. JR: Philly has a gr8 vibe. The people, artists, musicians, cooks. There's definitely a sense of community, and I think that has to do with the size of the city and the people that live here. DS: I like that it's old. ZH: Everyone seems pretty cool. DS: I just think the subway isn't very good. More music, more videos, more shows, more festivals. GT: There's so much to this story, but I'll try to keep it brief. We show up to our "venue," which is actually a non-descript warehouse in Philly. After finally getting a hold of the "venue owner," we start loading our gear into the building. We follow him down a long, cement hallway, past a couple churches and a boxing gym, and around the corner, we enter through an unmarked steel door. Inside our "venue," we find the dingiest office imaginable; it was an old graphics company that had gone out of business - all white walls, fluorescent lights, and no A/C. Then the owner says, "I'm just going to take this wall out real quick." We thought he was kidding...he proceeds to begin demoing the drywall from the center of the room. As the entire room fills with dust, the lone man's team eventually shows up (all two of them), and they begin hauling scrap wood and old desks out. At this point, we are 1 hr from doors opening, no audio equipment is present, nobody has sound checked, and all of the bands are loaded in. Everyone has the same look on their face - the classic "is this actually happening?" look. After a brief conversation with the other bands, we all decide it would be best to cancel the show...several disappointing phone calls later, we were back on the road and on our way to the next gig. JR: 1/2 pound of Boars Head bologna. DS: Bagel with salmon and cream cheese. ZH: Either some kind of turkey pesto thing, or some kind of Italian salami thing, or 2 eggs on a bagel. Candice Sand - Pop Star/Songwriter's New Video "Just So You Know"
Bestman recently released a new single called “143”. This is the synth driven quartet of fronted by Brian Clouthier, and on this new track they have traveled back in time to the upbeat synth pop of the ’80’s. Flesh Prison Records recently emerged, releasing a compilation with 10% of its digital proceeds going to MusiCares. Void Vision is on the roster, along with notables like Ariel Pink and Mac Demarco, and a new track, “Body Says,” is featured on the release. 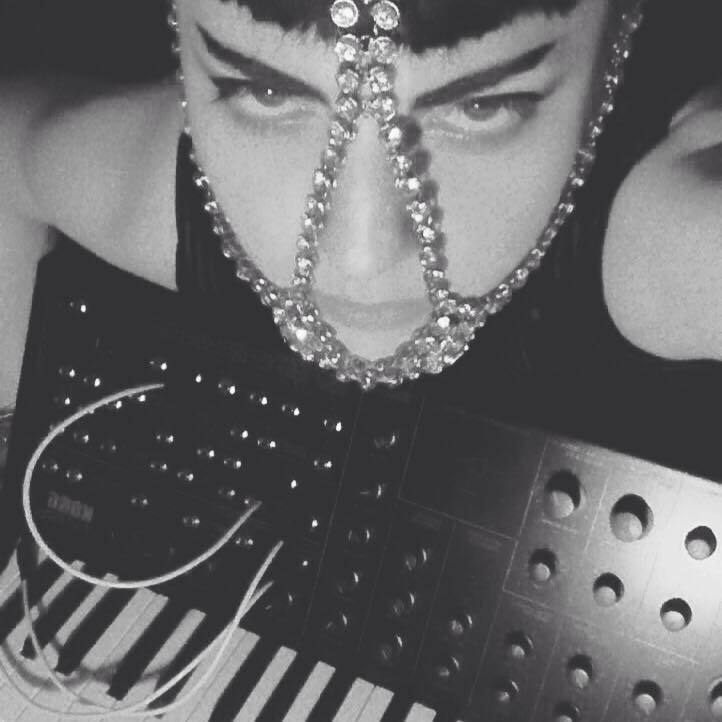 Percussion and synth merge into a slithering, dance-inducing, darkwave trance. Allow your body’s natural instincts to takeover, and embrace the dimly-lit get down. You can catch Void Vision's Shari Vari deejaying at Voltage Lounge on Saturday, November 3 as part of Spellbound’s Extended Halloween Edition.